If you’ve not yet seen this shocking admission from Ronseal then check out the video below right now. This cheeky apology (similar in tone to Bodyform’s own mea culpa in 2012) explains why their famous ‘It does what it says on the tin’ strapline has now been changed – to pacify pedants on social media. 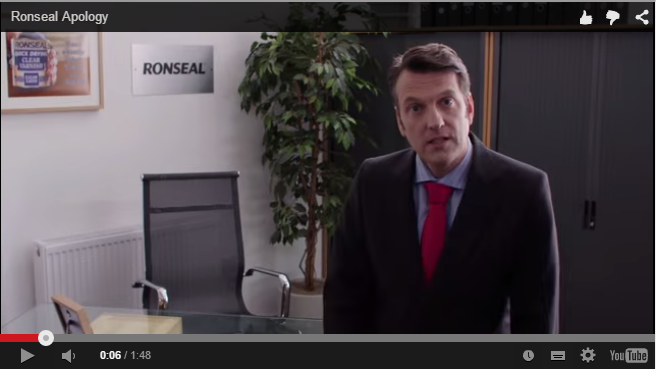 Ronseal’s marketing director Martin Jones proves himself a great actor as well as great marketeer. Quality content with almost 200,000 views to date.